Sherwood Plastic Products are based in Goole, East Yorkshire and have many years’ experience in precision and high-volume moulding work. With a range of modern automatic moulding machines, we are able to offer consistent service to our customers and produce high quality mouldings at competitive prices. A range of items which we manufacture ourselves are tamper-evident security plug seals for containers in the distribution industry. The tamper evident security seals may be in colours to suit customer preference. 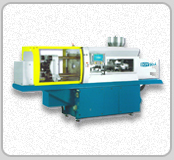 Ink-jet, hot foil and laser printing of sequential numbering and / or logo is available. If you would like any further information about the products or services from Sherwood Plastic Products – simply contact us at any time.